’Tis the season to be jolly – but the Christmas spirit has lost some of its shine for a major European airline, which is installing CCTV cameras to deter staff from stealing from passengers and from the company. 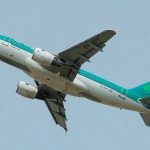 Thefts at Irish airline Aer Lingus are running at such levels the airline is rolling out cameras across Dublin Airport and engaging private security firms to conduct random patrols of staff areas, according to a report in Ireland’s Sunday Independent. 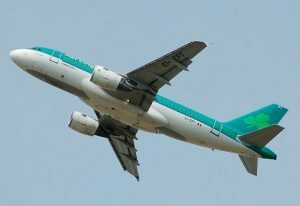 The airline has called police in Ireland and in the US to investigate thefts, the paper said. It quoted a memo to staff by Aer Lingus chief operating officer Mike Rutter explaining that cameras are to be to be installed throughout Dublin Airport’s Terminal 2 to counter “many millions of euro” in missing stock. Some of the stock is understood to be duty-free goods. Theft of passenger belongings is also occurring. Rutter blamed just “a small percentage” of staff but unions are unhappy about the inference and resent the introduction of closed circuit television in their work areas. Rutter said losses of airline and passenger property “remain at levels significantly above the industry norms despite investment in new technologies and inventory management processes. A security company is to start recording staff movements, monitoring duty-free goods on aircraft trolleys and mounting random patrols of arriving aircraft, as well as rooms used by staff and lost property drop points. Ireland’s largest trade union SIPTU has written to Aer Lingus to protest “the installation of what our members deem to be an excessive number of CCTV cameras in the area they work in as well as the company decision to implement security patrols in break areas and locker rooms which affect our members’ down-time when on break”.